Empress Michiko, on the occasion of her 84th birthday Saturday, expressed her hope that Japan will have a new peaceful era following the Imperial succession next year. 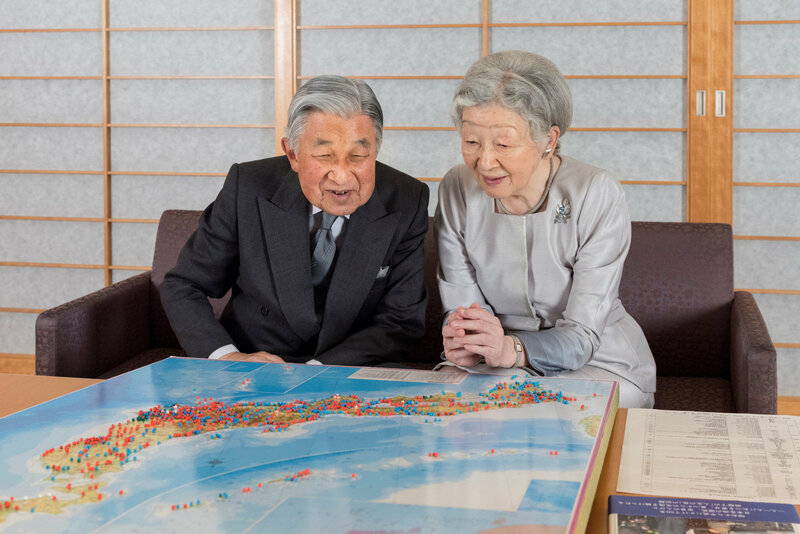 “I am confident that, from May of next year, the crown prince will serve the duties of Emperor with his whole heart, just as his majesty has done,” she said in a statement, referring to Emperor Akihito, who will abdicate the throne on April 30. “Together with his majesty, I, too, shall keep praying for the good of our country and our people, and for peace in the new era that the crown prince and crown princess will be building together in the future,” she said. Crown Prince Naruhito will ascend to the throne the day after his 84-year-old father’s abdication, based on his desire to do so due to concern about his age and health. 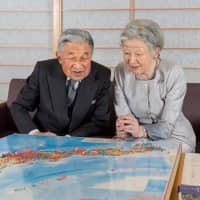 In the statement, the Empress recalled Emperor Akihito’s 30 years of dedication to his work, and efforts to live as a symbol of the state and the unity of the people, a role stipulated in the Constitution, as well the nearly 60 years that she has been with him since their wedding. She said the Emperor devoted himself to his duties with “all his strength and all his heart,” echoing his words from a rare video message in August 2016 when he signaled his wish to step down. “At his side, I saw how, as he performed each of his duties, his majesty gradually deepened his trust and devotion toward our country and our people,” she said. Since becoming the first princess from a non-Imperial family when she was 24 years old, Empress Michiko said it was “not easy” by any means. It was a long custom in the Imperial family to hire a foster mother but Crown Prince Naruhito and Crown Princess Masako are also raising their daughter, Princess Aiko, by themselves. Answering a question from the press about what she wants to do after retiring from official duties, the Empress said she wants to spend the rest of her days “peacefully” by her husband’s side and read as many books as possible, especially detective novels. Looking back at the past year, the Empress said she was saddened by a series of natural disasters, including torrential rains and earthquakes, which devastated many parts of Japan and overseas. “I mourn with all my heart for the people who lost their lives to disasters across Japan and hope I can share, even in a small way, some of the sorrow of those left behind,” she said.